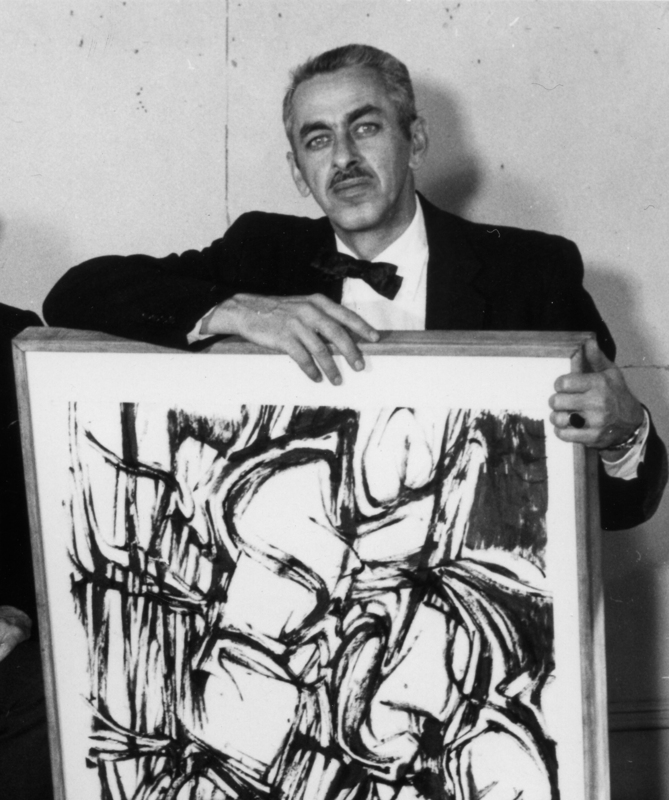 Professor Howard Goodson with his painting during a March 23,1960, photo shoot for a faculty exhibition. Detail of a larger photo. Image courtesy of the "Crimson White."